How did you get started in Radio and what is your current position? This a fully functioning studio from where I can connect to any station in the world and present shows in real time. Wild Radio was set up to demonstrate to PD’S the possibilities of working from home. My station has become very popular and is creating a huge and rapidly growing fan base, so now this chain of events has driven me to run this station on a full-time basis. The best part of my job is waking up every morning knowing I made this… it’s walking in to my studio and looking around at the entire thing and thinking. “Wow, I did this!” I love turning on the radio in the kitchen and hearing some amazing tunes and thinking, wow I programmed that and it sounds huge. The station sounds so tight and on point all because I use RCS software! There are three main reasons behind the epic station sound, the KLOTZ digital desk, my DSPX processor and RCS. Why did you choose RCS and Zetta as your software choice? IT JUST WORKS! There really was no doubt in my mind, I needed the best of everything, it had to be RCS, Selector 15 and MC have always been my favorite play out systems; they are just brilliant and when I got offered the chance to upgrade to Zetta & GSelector, I jumped at the chance. I have very hi-spec machines that weren’t being used to their full potential with MC and after learning that I could sit in my back garden sipping a cold beer while adjusting my schedule on my iPad, well how could I say no! The whole thing is faster and so powerful, the possibilities are endless! How was the support/install/learning curve? I really thought I would struggle, especially when I realized that this wasn’t just an upgrade, it was an entirely different set of programs, however the RCS UK Support team are just amazing; so very patient and so good at what they do. They have spent time with me to make me understand all aspects of the new system. I was involved in the installation which made it easier to understand and what I need to do should anything ever go wrong.Anything else to add? I really would like to take the time to thank Jon Earley and his team of brilliant staff. I am so pleased I made the change to Zetta. It has changed the station and made the whole site more modern and up to date than many of the biggest local commercial stations! 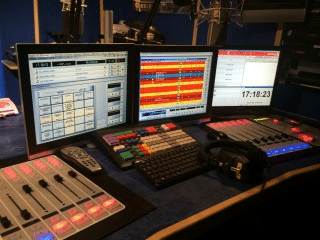 The Ben Wild Evening show is a syndicated radio show from studio’s in the north east of England, the studios are purpose built and contain digital broadcast equipment of the highest standard. 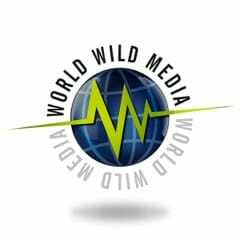 The show goes out live every week via satellite distribution to stations here in the UK and Ireland and also round the world; including TD1/ Pattaya105 / DNR / HIT96 / NJOY / HiFM / NRG102 / Kiss FM France / PULSE / Destination Ireland. The show is 100% live and unlike most syndicated show’s we take calls from the listeners and get them involved in the songs we play on the station. This show is unique for promo opportunity as unlike many regional stations we can hit the same audience demographic over a number of markets in different areas across UK Ireland and indeed across the globe.